The proud traditions of St. Francis Preparatory School stretch back over 150 years to a simple building on Baltic Street in Brooklyn, New York. 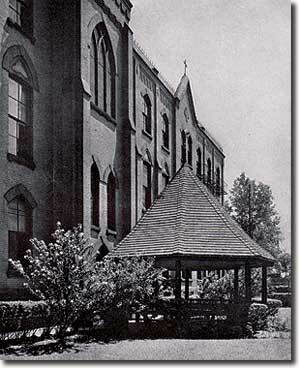 There, in the Fall of 1858, the doors of what was then St. Francis Academy opened for the very first time. 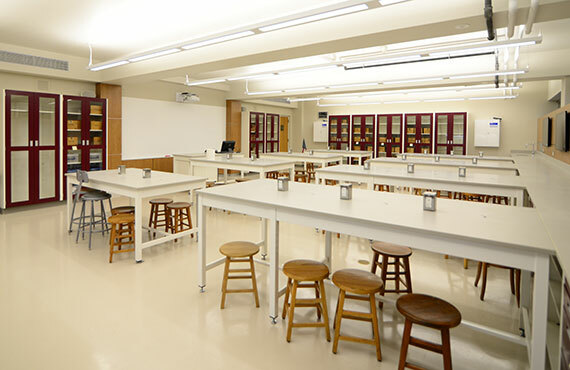 The school has twice relocated, first in 1952 to North Sixth Street, again in 1974 to its present location in Queens, and has since been providing intellectual and spiritual growth to young men and women who seek the finest Catholic education available. The Franciscan traditions of peace, love and respect for the individual, community, and environment are the fundamental building blocks of the St. Francis Prep Education. The abilities of our students are nurtured and strengthened in an environment centered around the teachings of Jesus Christ. St. Francis Prep is a community of learning and teaching, committed to maintaining the standard of excellence which has been in place since its founding. Two Franciscan Brothers from Ireland arrive in Brooklyn and move into 300 Baltic Street. St. Francis Academy, the first private Catholic school on Long Island, opens. Property on Butler and Smith Streets behind and adjacent to the school is bought to allow for more living space for the Brothers, boarding students, and a gymnasium and chapel. 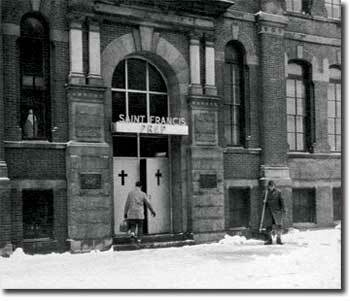 School adopts its present name, St. Francis Preparatory School. St. Francis Prep moves once more to North Sixth Street in Williamsburg, Brooklyn. St. Francis Prep relocates to Francis Lewis Boulevard in Fresh Meadows, Queens, and women are admitted for the first time. St. Francis Prep earns the U.S. Department of Education's Excellence in Private Education Award. St. Francis Prep begins Our Vision for the Future Endowment Campaign. St. Francis Prep is recognized by U.S.News & World Report as an "Outstanding American High School" and dedicates wall of recognition in honor of graduates, parents and friends who have made an investment in the St. Francis Prep Endowment Fund. St. Francis Prep dedicates Alumni Hall of Fame. St. Francis Prep celebrates its 150th Anniversary with a Gala at the Brooklyn Marriott and "kicks-off" year-long commemorative activities as well as The Campaign for St. Francis Prep to help fund the school's major capital improvement and modernization program (which continues today). St. Francis Prep dedicates the new Coach Vince O'Connor Physical Education and Athletic Training Center and The Art Education Center and announces plans for Stage Two of The Campaign for St. Francis Prep to help fund a new Science and Music Complex (with groundbreaking scheduled for June 2014). St. Francis Prep institutes a new administrative model as Brother Leonard Conway, O.S.F. becomes the first-ever President of the school (after having served 30 years as Principal) with Patrick J. McLaughlin '73 becoming the Principal. This represents a natural progression for the Prep as it looks to build upon past success and prepare forThe Next 150. 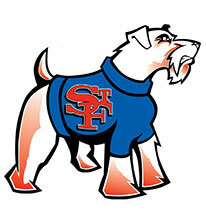 St. Francis Prep is the largest private Catholic secondary school in the United States. 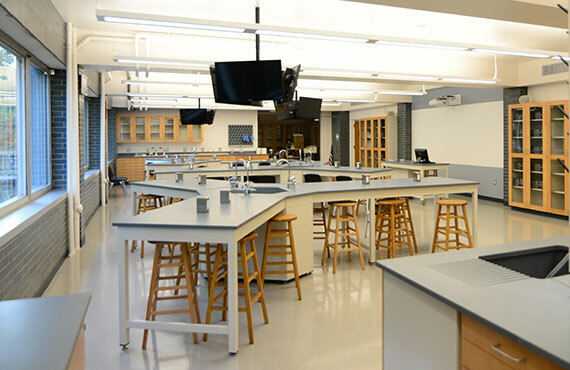 The Prep is registered with the Board of Regents of New York State, member of the New York State Association of Independent Schools, recipient of the U. S. Depatment of Education's "Excellence in Private Education" award recognized by U.S. News and World Report® as an Outstanding American High School. Ninety-eight percent of the graduating seniors go on to the college of their choice. There are over 25,000 proud alumni. St. Francis Prep is a Catholic, college preparatory school in the Franciscan tradition. Our mission is to enable all students to develop and broaden their spiritual, intellectual, creative, emotional, social, and physical abilities. We value the unique contribution each person makes to the Prep community. Together we create an environment filled with academic success, respect, integrity, and joy. - To be seekers of Truth. - To develop a critical intellect. - To treat all with respect and dignity. - To lead lives of justice, integrity, and compassion. 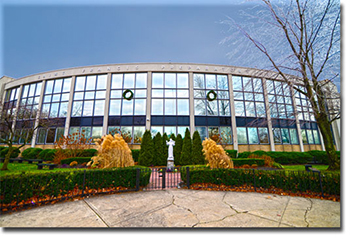 Saint Francis Preparatory School is a community that affirms its Catholic identity by the four "Golden Links" of Franciscan education, which holds that Spiritual, Intellectual, Social, and Physical values can be drawn from learning. We direct our educational efforts through academic programs and activities to enable students to value all of God's creation. Enlightened by the teachings of Jesus, we-the students, parents, faculty, staff, administration, and alumni-view the school as a means of encountering God and as a visible sign of our religious beliefs. In the words of Pope John Paul II, the mission of the Catholic school is "to communicate Christ." At the Prep, this is uniquely interpreted in the spirit of Franciscanism, which is to manifest peace, love, and respect for the individual, the community, and the environment. At St. Francis Prep we create an atmosphere where all can experience, communicate, and live the Gospel message. We challenge every individual to value learning, thinking, and critical inquiry. The teachers strive to not only instruct students, but to inspire them. 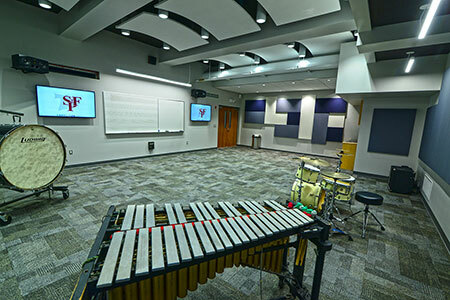 We provide opportunities for students to develop their academic potential and make college and career choices in concert with their personal desires and talents. We appreciate and respect the cultural diversity in the school and the New York metropolitan area while embracing our shared humanity. We encourage active citizenship in our democracy by increasing students' awareness of and involvement in local, national, and global issues. This is the vision we mutually define. To work for these ends is a task of joy which provides fulfillment to the entire Prep community. -To continually experience a loving God in themselves and in others. -To live the teachings of Jesus in the spirit of Francis of Assisi. -To always value learning, thinking, and critical inquiry. -To make responsible decisions in all aspects of their lives. -To recognize themselves as members of the world community. -To respect and accept the unique contributions of each individual to society. -To accept and nurture our bodies as gifts of the Creator. -To encourage stewardship of our planet. 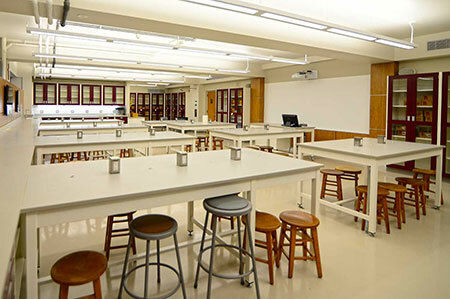 Since the turn of the 20th century, accreditation has had a major impact on American education, with Middle States Association among the pioneers in the field. Today it is a concept that few people understand and yet one from which many could benefit. At its inception, accreditation responded to the public demand for improved quality and greater accountability for schools serving society's needs. 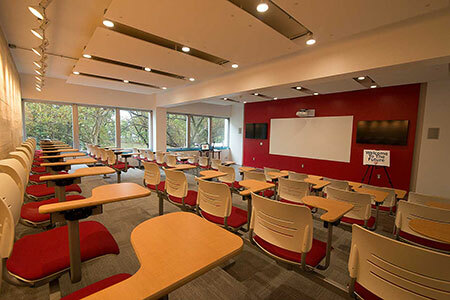 The U.S. Department of Education- describes approved accrediting organizations such as Middle States as a “reliable authority as to the quality of education.” Accreditation is an external, objective validation of school quality and student achievement that fosters continuous school improvement. St. Francis Prep has been accredited with the Middle States Association since the mid-20th century. During our last accreditation period, we set goals relative to improved Regents and SAT scores, as well as improved internal grades, all supported by detailed and collaborative action plans. We also established a number of faith-based goals, such as enhanced retreat experiences for sophomores, utilization of an instructional Mass for freshmen, and providing students with a written outlet to enable reflection on service experiences. "...has the ingredients – administrative leadership, dedicated teachers, achieving students, and a supportive community – to make St. Francis Preparatory School the most outstanding high school in the city and state of New York and beyond." Middle States also has a series if individualized accreditations called Programs of Distinction. 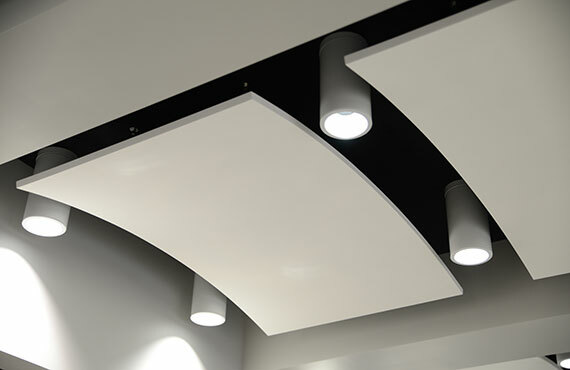 They provide external validation of a school's accomplishments in specific areas of expertise, enhancing a school's prestige and promoting its reputation as a top-tier institution. Middle States Programs of Distinction serve as models for schools throughout the world. Currently, Prep holds three Programs of Distinction. We were the first school ever to earn Music, and as of this fall, have earned Visual Arts and School Counseling Services. Schools attaining the Music Program of Distinction foster within students a deep appreciation for music as an expressive, creative art form. Music education is recognized as an essential component of the social and cultural fiber of society and the school. The Visual Arts Program of Distinction identifies programs of superior quality, clearly articulated and comprehensive, led by qualified and talented instructors using research-based instructional techniques and strategies, and allows all students to develop an appreciation for and an understanding of the visual arts as a valuable and expressive fine art form. The School Counseling Program of Distinction recognizes schools with a comprehensive and coherent school counseling program, which features counselors who advocate for ensuring equity in student access to all the school's educational opportunities.